Being one of the leading hotels in Khorezm region Sher Hotel offers variety of services in hotel and hospitality. Our hotel was established in 2002. Throughout this period our hotel has been serving thousands of guests being them local and international tourists. Dedication and best quality of service are the most important priority our hotel has always strived to. Since Sher Hotel is situated in the centre of Urgench it makes our hotel convenient to reach sightseeings of the city as well as ports( Airport 5 minutes, Railway Station - 7 minutes ). 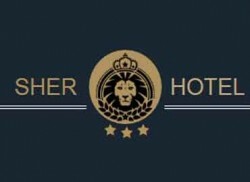 Besides these all Sher Hotel is one of the best hotels in the region. We offer bright and clean rooms with pleasant amenities along with 24 hour room service. Our staff is selected with people who are dedicated to their job. Once you visit Urgench, Khorezm or visiting Khiva en route do not miss your chance to stay and enjoy the best quality of Sher Hotel. You are always welcome in our hotel!